We've all been there. Your friend invites you along on a weekend trip, and you happily agree to go - until you find out they're also bringing their significant other along. 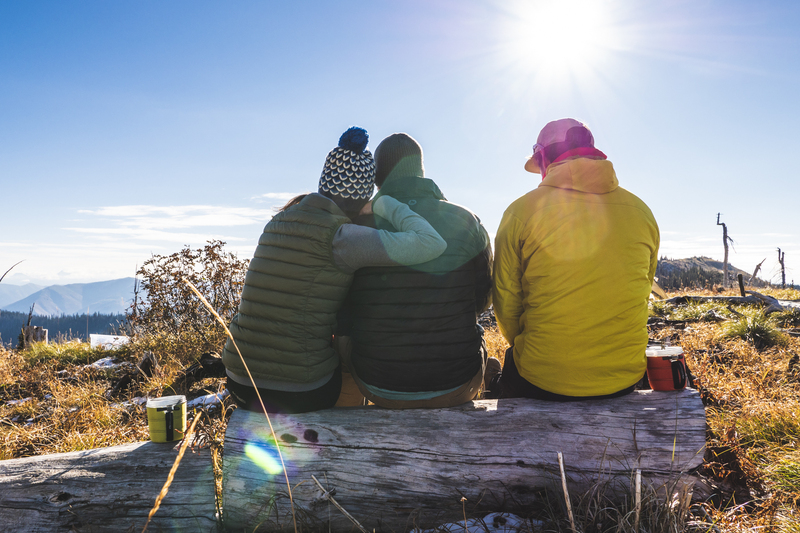 It's easy to feel left out when third wheeling on a trip, but with these tips you can survive being the single friend at a couple's weekend. After all, the most important part of a tricycle is the third wheel! Assuming you're not going to be snuggling your tent mates (although no judgment on how close your friendships are), you're going to need to rely on your own body heat all night. Bring a warm hat, your best sleeping bag, and layers for cold nights. A warm third wheeler is a happy third wheeler. A great way to distract yourself is to focus on the most important part of camping: the food. Bring some new recipes to try or practice using some cookware you don't normally use. Flexing your culinary muscles can keep you busy and not only will you learn new tricks, you'll get to feed your friends and make them happy, too. Usually we're big fans of camp games, but on a third wheel trip it's best to avoid any two-player games. We're looking at you, chess and checkers. Opt for games where you don't need an even number of participants, like Chinese checkers, tumbling tower, or backpack bocce. Man's best friend is a great substitute for a significant other: they'll snuggle in the tent, don't complain about anything, and love you unconditionally. Your adventure dog will give you someone to hug and they love warm kisses. They'd be the perfect replacement for a human companion if they only carried their own gear. Of course, check the canine rules and regulations for the land you're planning on visiting before heading out. This is a great way to stay positive on a third wheel trip: offer to be your friends' personal photographer. You'll capture great snaps of your happy friends outside and in love, and in return, you have two people to take Instagram-worthy shots of yourself. Your friends get to remember their camping trip together, and you get the photo creds. It's a win-win. Keep in mind, an extra person on your trip means lighter backpacks. You can split up tent weight, split gas more ways, and carry a larger first aid kit when there are three backpacks on the trail. One more person means you can bring more wine and pack out more trash, so don't forget that three is better than two. While you're on a third wheeling spree, remember: your friends brought you along because they love you. Enjoy the views, enjoy your company, and enjoy that you have the ability to get out and adventure in the great outdoors.